Pakistan’s long-term Strategic Plans Division head retired, raising questions about the future of the program. As Pakistan rounds off its year of leadership transition, with a new Prime Minister, Chief Justice, and Chief of Army Staff, it has also changed the guard in a less prominent but nonetheless important office. 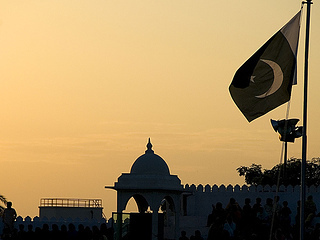 For the last fifteen years, Pakistan’s nuclear program hasn’t had too many individuals remaining constantly at the heart of it all. One man who stuck around from the nuclear tests in the late 1990s to the present day was Lieutenant General Khalid Kidwai, who has been the head of Pakistan’s Strategic Plans Division (SPD) since 2000. Pakistan’s Strategic Plans Division (SPD) handles the operation, maintenance, and security of Pakistan’s nuclear weapons program. Kidwai’s performance at the SPD earned him the respect of of Pakistan’s civilian and military leaders, who have offered him extension after extension, allowing him to continue as the head of the SPD beyond his formal retirement in 2007. He has received 12 such offers from the government, and his current decision to retire is a result of him refusing another extension. Kidwai’s experience in the Pakistan nuclear program seems to be unmatched. As such, certain observers speculate that “Kidwai may get another important assignment related to the security and strategic affairs including that of PM’s advisor on national security or a presidential advisor dealing with the strategic issues.” According to Pakistan’s The Nation, Kidwai holds the superlative for the longest posting in Pakistan’s strategic defense establishment. Kidwai’s career was largely facilitated by General Pervez Musharraf, first in his capacity as Chief of Army Staff and then as President of Pakistan. Musharraf ensured in 2007 that Kidwai would remain in the SPD after his early retirement. Kidwai’s ultimate role in Pakistan’s power hierarchy was as guardian and adviser on nuclear matters; he repeatedly sought to assure the United States that Pakistan was a not a proliferator of nuclear weapons equipment (something that caused controversy between him and A.Q. Khan), and that its existing arsenal, now the fastest-growing in the world, was safe and secure. In 2009, the New York Times’ David Sanger acknowledged Kidwai’s pivotal role in communicating the status of Pakistan’s nuclear weapons to the United States. “In the second nuclear age, what happens or fails to happen in Kidwai’s modest compound [the SPD] may prove far more likely to save or lose an American city than the billions of dollars the United States spends each year maintaining a nuclear arsenal that will almost certainly never be used,” he wrote then. Khalid Kidwai’s successor, Lieutenant General Zubair Mahmood Hayat, has assumed his post as the new head of the SPD and will be the focus of United States’ and Indian intelligence agencies in the near future as they try to grok his intentions for Pakistan’s nuclear weapons infrastructure. Pakistani nuclear doctrine, in Kidwai’s final years, has begun a shift towards battlefield tactical nuclear weapons which significantly increase the possibility of nuclear escalation in South Asia. Kidwai could have left the SPD in a state of institutional inertia, unable to adapt to emerging challenges. While Kidwai’s departure might not draw the same fanfare as Kayani’s, it may pose the greater challenge to Pakistan’s defense and strategic establishment. A Musharraf-Saeed alliance could provide the political face of the mullah-military takeover underway in Pakistan.